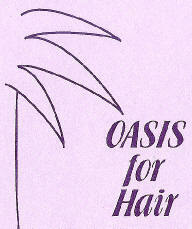 Special offers from OASIS for Hair. To thank you for taking the time to visit the OASIS for Hair website we're offering you a special Internet discount. Simply mention this website when making your appointment and we will happily take 15% off your total bill on your 1st visit to us. Please call one of the friendly OASIS for Hair team for an appointment on (02) 6288 1535. Don't forget to ask us about the OASIS for Hair VIP Loyalty Card - for great savings on return visits! With an OASIS for Hair loyalty card you get great special offers for visiting us regularly. We even let you share your card with other family members which will let you fill in your card and save even quicker. Simply ask one of our friendly team for a VIP Loyalty Card when you visit. 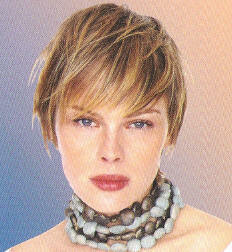 OASIS for Hair Gift Vouchers now available! Don't know what to buy that special person? Why not spoil them with an OASIS for Hair Gift Voucher. Gift Vouchers make a great birthday, wedding or other special occasion gift. It's amazing how well OASIS for Hair Gift Vouchers are received. Simply ask one of our friendly team about tailoring a gift voucher to suit your needs. Special Offer - mention this website when purchasing your OASIS for Hair Gift Voucher and we'll take 15% off the face value of the voucher! "Look Good, Feel Great at OASIS for Hair"